Rouck Bros is an Okanagan-based custom profile log builder and supplier, serving worldwide customers for over 50 years from our company and sawmill, located near Vernon, BC in the beautiful North Okanagan. Rouck Bros has a solid reputation for providing high quality wood products and log home building services. We have timber, flooring, live edge and pattern stock for any project, plus, we can custom cut an entire tree for any phase of your design. We can even recondition your reclaimed salvaged timbers and bring them back to life. 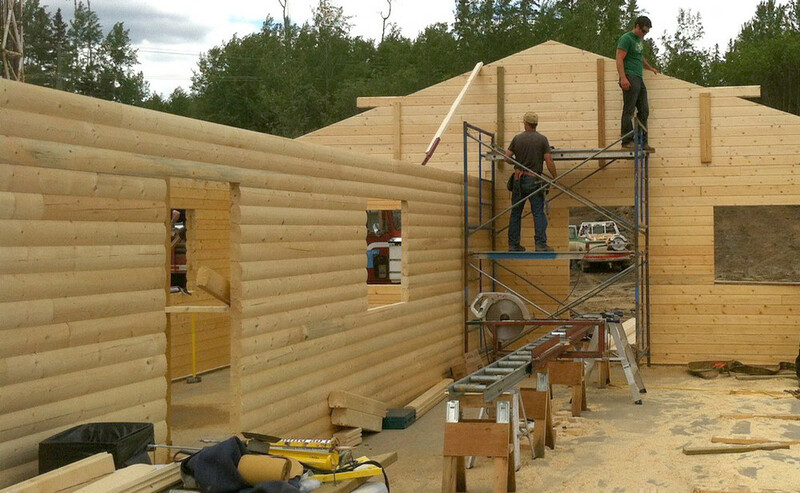 Our experienced crew can create custom products from the mill, plus, handle any profiled log home construction, from exterior to interior. Rouck Bros logs give you an outside & inside finished wall in one step, with a high thermal insulating factor. The specialty tongue & groove interlocking design system creates a strong, secure draft-free wall for your home or cottage. Rouck Bros logs have a warmth and beauty that will enhance the natural setting of your location. The select grades are of the highest quality. All our products are kiln dried at our mill. Our profiled log packages will turn your home construction into a practical, stylish and eco-friendly experience. 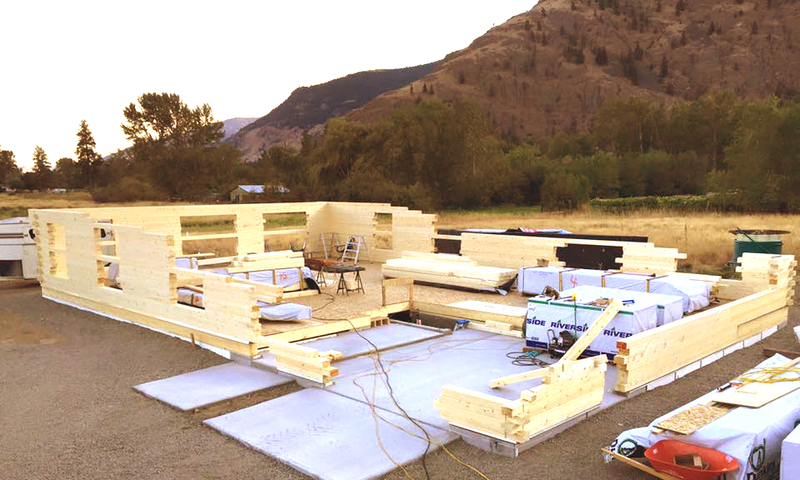 "If You've Dreamt It, They've Already Made It"
We offer frequent profile log building training workshops using our products at our location near Vernon, British Columbia. You may prefer to work with your team or work alongside our highly qualified crew. Whether it is an entire dream home, cottage, air b&b or that unique accent live edge slab piece or a rough sawn feature interior wall in your home, Rouck Bros will work with you to find the wood product that turns your project from great to fantastic! Bring your design to us and we will be happy to do a quote for you.